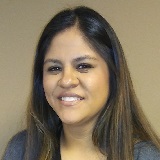 Yvette García joined the Public Health Institute Center for Wellness and Nutrition (PHI CWN) in August 2017 as a Program Associate. Her role at PHI CWN is providing support to California Department of Social Services projects and to the CACHI Accelerator project. She comes to PHI with a background in clinical services and administration; she previously worked for a Rural Indian Health Clinic where she oversaw the successful attestation of the Center for Medicare and Medicaid Services’ Meaningful Use EHR Incentive Program for two clinics. Yvette also has previous experience working in renal care, education, and the non-profit sector. Yvette received her Bachelor of Arts in Criminal Justice in 2010, and her Master’s degree in Public Administration with an emphasis in Healthcare Administration in 2014, both from California State University, Chico.